Out with the old, in with the new. Replacement windows are carefully sized to fit inside an existing window frame. Instead of removing the entire window unit, only the sash units are removed. Start saving energy with a Dr. Energy Saver upgrade. 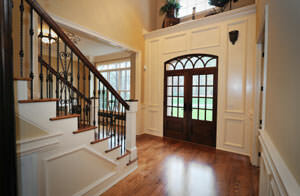 Our company offers Virginia homeowners expert replacement window & door services to help reduce home energy loss. It's important to make your windows and exterior doors as energy efficient as possible because they are the largest weakness in your home's "building envelope". The building envelope is basically the barrier of building materials that separates your indoor environment from the exterior environment. 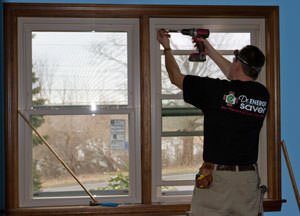 Contact Dr. Energy Saver today to schedule a free windows & doors estimate in your home. One of our energy specialists will visit your home and inspect your windows and doors letting you know what necessary upgrades your home needs. We proudly serve the state of Virginia especially around the Hampton Roads territory. Our service area includes: Virginia Beach, Norfolk, Newport News, Hampton, Chesapeake, Portsmouth, Williamsburg, Yorktown, Suffolk, Gloucester, Seaford, Smithfield, Poquoson, Carrollton, Toano, Lanexa, Hayes, Gloucester Point, Barhamsville, Fort Eustis, Surry, Fort Monroe. Replacement windows are often installed when your windows are experiencing frame deterioration, drafts entrants, old age and/or have condensation in the panes. If you decide to get your windows replaced by Dr. Energy Saver, one of our trained technicians will measure and size your existing windows. Precise measurements for replacement windows must be made because the new unit is designed to fit snug inside the existing jambs. In today's day and age replacement windows have lots to offer include attributes such as: all-vinyl constructions, high performance energy efficiency, durability and resistance to natural elements. 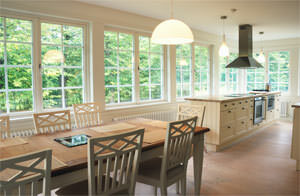 As an added benefit, our vinyl and fiberglass replacement windows never require painting! Doors can look good and still be beneficial. Although this new exterior door appears as wood, this improved durable entry door is actually a foam-insulated steel door. Better than traditional all wood doors, a steel door offers a solid steel skin that's durable, energy efficient, and appealing. Fact - Exterior doors are better than they once were. Traditional all solid wood exterior doors that were once the primary choice for contractors and homeowners, have largely been replaced by today's high performing upgrades. Today's doors include doors clad with steel, vinyl or fiberglass and some doors offer foam insulation for extra insulation. Top quality door models resemble the old-fashioned solid wood exterior doors of the past, but offer improved energy efficiency, superior durability (resistance to warps and cracks), and weather resistance. Here at Dr. Energy Saver, we suggest installing a pre-hung unit. The term "pre-hung" means that the door comes already installed in its opening, so the jambs and hinges are already in place. With a quality prehung door, there's no doubt about getting a solid, snug fit in the door jamb, and weather-stripping is already installed. Some pre-hung doors are actually part of an "entry door system" that can include fixed side lites and transom lites, which enhance the amount of natural light your home will receive. Take your time when you're selecting a door for your home, with many different options available, you'll want to research and look at a variety of exterior doors before you make a selection. Our service area includes: Virginia Beach, Norfolk, Newport News, Hampton, Chesapeake, Portsmouth, Williamsburg, Yorktown, Suffolk, Gloucester, Seaford, Smithfield, Poquoson, Carrollton, Toano, Lanexa, Hayes, Gloucester Point, Barhamsville, Fort Eustis, Surry, Fort Monroe. We offer free window and door estimates to Virginia residents, where one of our energy specialists will do a thorough home inspection of existing units. Call 1-757-969-6004 or contact us online to schedule a free home inspection and windows and doors estimate.